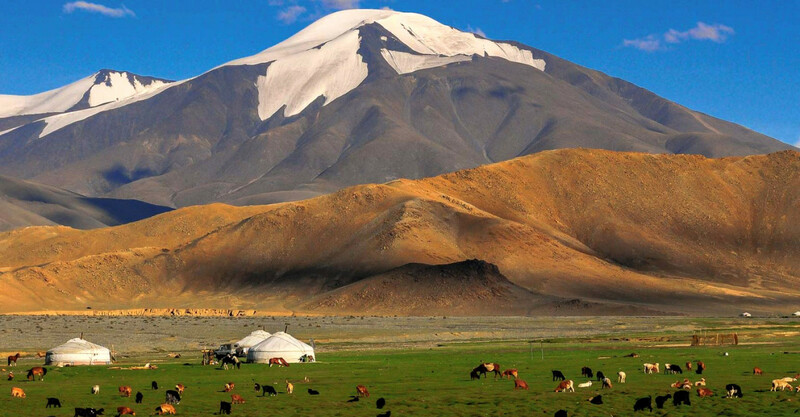 Suvraga Khairkhan Mountain is 3,117 meters above sea level and part of the Khangai Mountain Region. It is located in Thenkher soum of Arkhangai Province and surrounded by forests. The profile of the mountain looks like someone seated and praying. The local people have been praying at this mountain since ancient times. Men go to this mountain to wake up coat of arms. To the east is Borjin Rock, and nearby are Baits Tsokhio, Naked top, Solibidog, Jimger, Khoshgot, Tongorogiin Ikh, Bor, and Tsagaan Urguu mountains. The Khoshgot, Jimer, Khurvuulgiin, and Ulzii Teel rivers flow past, channeling into the Orkhon Falls.